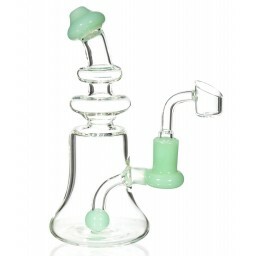 The Spiny Tyrant Recycler - 9” Intricate Recycler with Inline Slotted Percolator -The Greatest Online Smoke Shop! 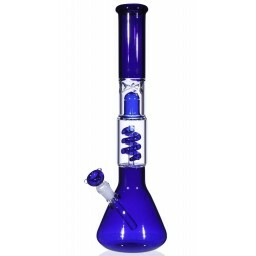 Uncommon, unique design featuring colored glass accents along the neck. 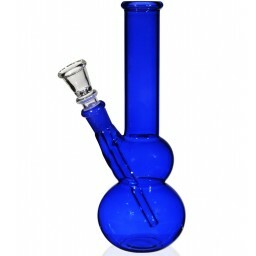 A strong base of 3 glass balls keeps it upright and balanced. 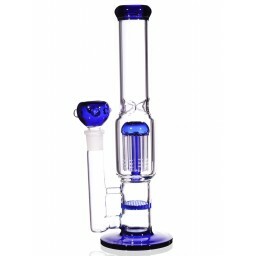 High quality, thick 4mm Boro glass. 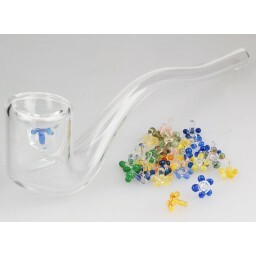 This pipe has a 14mm male joint and includes a matching 14mm female dry herb bowl that has a blown-in handle. The Spiny Tyrant, named after its prehistoric, reptilian look, is an elaborate and elegant piece to add to one’s collection. The shape and flow of this beauty are unlike most have ever seen and will surely delight guests who spot it on your mantle. 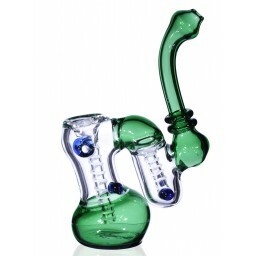 Superbly crafted with 4mm thick Boro glass, this pipe will stand the test of time and provide a superior smoking experience for eons to come as long as any extinction-level events don’t occur within the next coming years. The first thing most notice about The Spiny Tyrant is the fascinating structure, which certainly is a sight to behold. However, there is much more to this Jurassic glass than meets the eye. 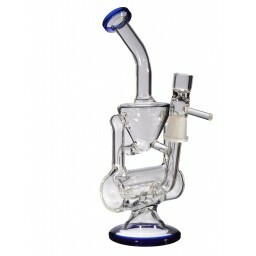 The really intricate Recycler draws water into additional chambers in the pipe, which adequately cools and filters the smoke multiple times on its journey into your lungs. 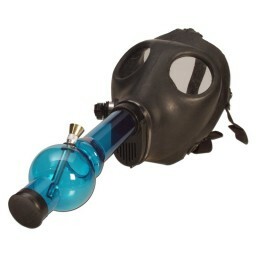 Once you are done inhaling, the water simply flows back down into the main chamber until the next time you decide to fire up some primitive dry herbs. The dimensions of this piece are 4.5” wide, 8” depth, and 9” height. 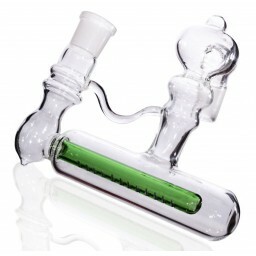 It comes equipped with a 14mm male joint and includes a matching 14mm female bowl for dry herb.